I was recently contacted by a lovely lady called Barbara from Thierry Mugler who asked if I would like to take part in a challenge as part of Thierry Mugler's #AngelCandy campaign. I obviously said yes and so they sent me a little package containing two beautiful, delicious meringues (thank you for those!) and a tiny bottle of the Angel fragrance and set me the challenge of creating a mood-board which depicts what Angel makes me feel; what sensations or emotions it evokes or what it reminds me of etc. I thought that this was a really lovely idea! Perfume is a really personal thing and I'm so excited to see all of the memories and feelings that people get all from the same scent. I've completed my mood-board which I've posted on Instagram so if you want to go and check that out then I'll leave my Instagram at the end of the post. It was actually a lot more challenging than I thought it would be, so I thought I'd just write a little bit about the fragrance itself while I have all of these thoughts floating around my head. Firstly, the bottle is adorable! Shaped like a star I think it's really unique and would look beautiful standing on a dressing table. I'm a real sucker for a beautiful perfume bottle. The Angel fragrance itself really matches the bottle - it's so unique. I can honestly say that I've never smelled anything quite like this. It's not something that I'd usually go for because I'm one for really fruity, girly scents which I wouldn't say this was. But! It's beautiful. It's dark and sultry but at the same time it's light and sweet and fresh. I'm not even sure how that works but Angel pulls it off perfectly. The big question! What DOES it make me think? What does it make me feel? Well, you'll obviously have to go and check out my mood-board to find out exactly, but what I didn't show there is just how much this evokes in my mind. It's not like anything I've smelled before but it has familiar tones and for me, this brings back so many memories and thoughts which is amazing. I never thought that a perfume could really make me 'feel' anything, I'll admit... but this actually does. It's really quite something. And of course, if you'd like to see my mood-board then pop over to my Instagram. My username is justkirstenn . I haven't used my Instagram in years, but this has given me the kick up the bum I needed to get back into it! If you do pop over, then let me know what you think! 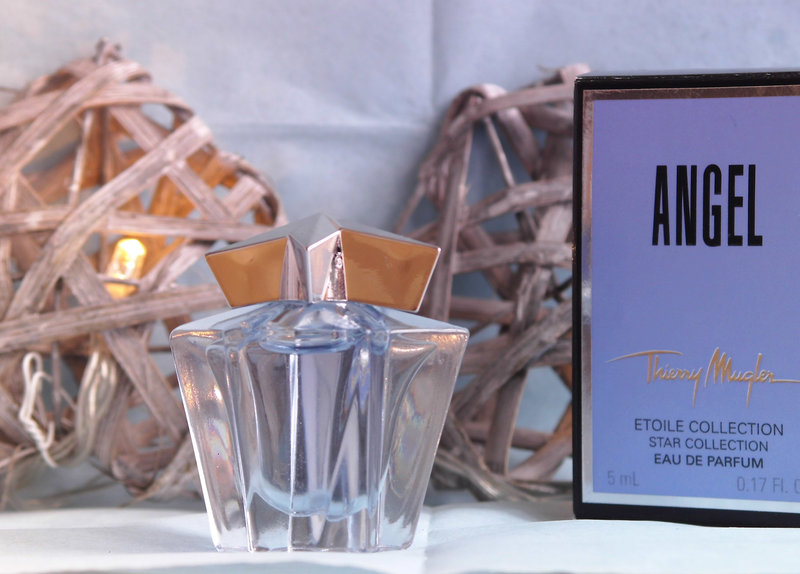 I also really recommend that you go and have a sniff of Thierry Mugler Angel if you haven't already, because it's really, really lovely.